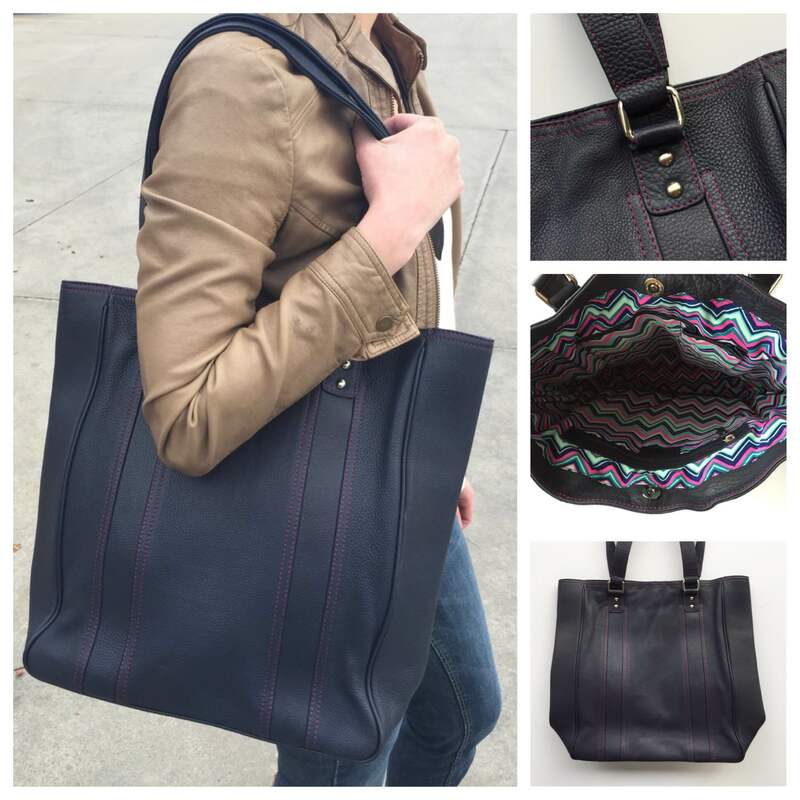 Designed with the sophisticate in mind, this upscale bag features rich, supple leather, a printed interior, an internal zippered pocket, and two slip pockets. Magnetic snap closure. Measures 13” W x 15” H x 4.75” D, Strap drop 11”. Pictured model is 5’8″. And we’re giving this bag away in navy! Giveaway ends Monday, February 9, 2015. I would use this bag for church, Bible Study, shopping, travel…everything! This bag would be a special treat for my valentine. My wife the love of my life. I would use this bag for my planner, pens and everything else! Beautiful bag! I would use this gorgeous navy bag as my office tote to carry both my personal Classic Franklin Planner and my professional Monarch Franklin Planner, as well as all my files and other necessities. Beautiful bag, I could put it to immediate good use! I love it!! I have six kids which means a lot of stuff to take every time we leave the house. And I travel for work – and this looks like it would be an awesome addition to either! I would use this bag for work and travel. What a beautiful bag! I would use it everywhere- school, work, going out, travel and shopping. It can be a great conversation starter to get others to see the beauty and versatility of Franklin Planner products. I would use the bag for work! Love this bag I think I would use it for everything, mostly back and forth to work! Helps me keep ahead in the game of life! I will use the bag for everything–church, running errands, etc. It\’s so cute! I would use this bag for work and shopping.